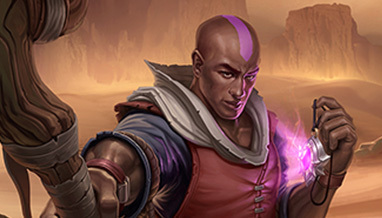 Two big changes come in tomorrow’s Eternal patch: the Azindel’s Ways promo bundle brings three new cards to the game, and we’ll be implementing a refinement to Eternal’s redraw system. Great forces are at work — The Eternal Throne is vacant, and the future of the Resistance is uncertain. Vara, the lawful heir to the Throne, remains missing in the Shadowlands. 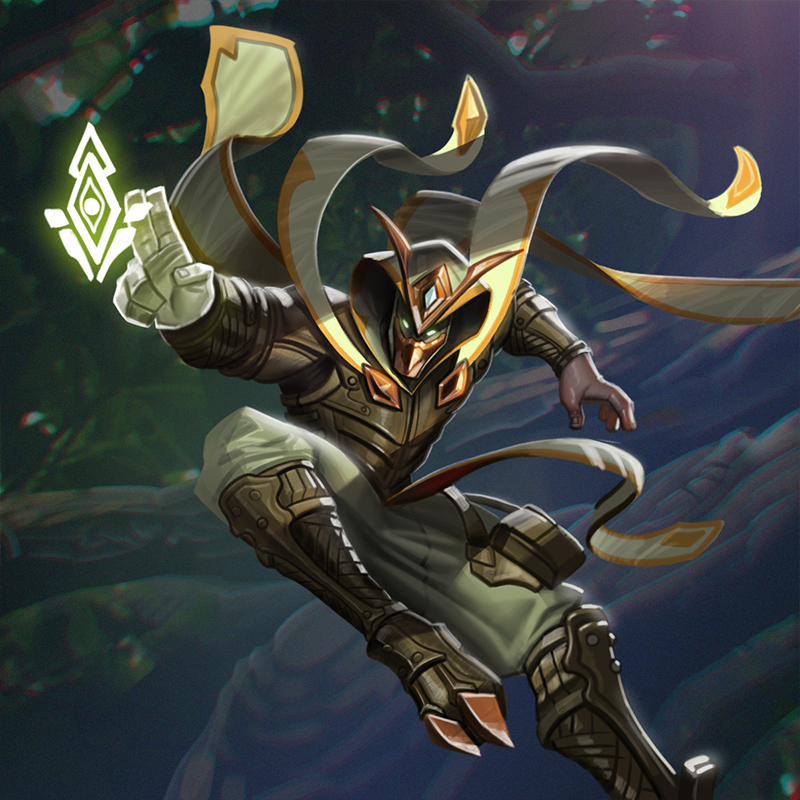 And rumors have begun to reach Argenport of new actors from distant lands attempting to make their influence known. Keep an eye out this week, when we kick off the Azindel’s Ways promo quest. During the quest period, your first PvP win of the day will reward you with a copy of all three promo cards. Once the promo period is over, you’ll be able to craft the cards using Shiftstone as normal. Deep in the Shadowlands, Azindel leads Vara far from home — and perhaps toward her destiny. He knows many paths through the endless wastes, though the way back can be difficult to remember. 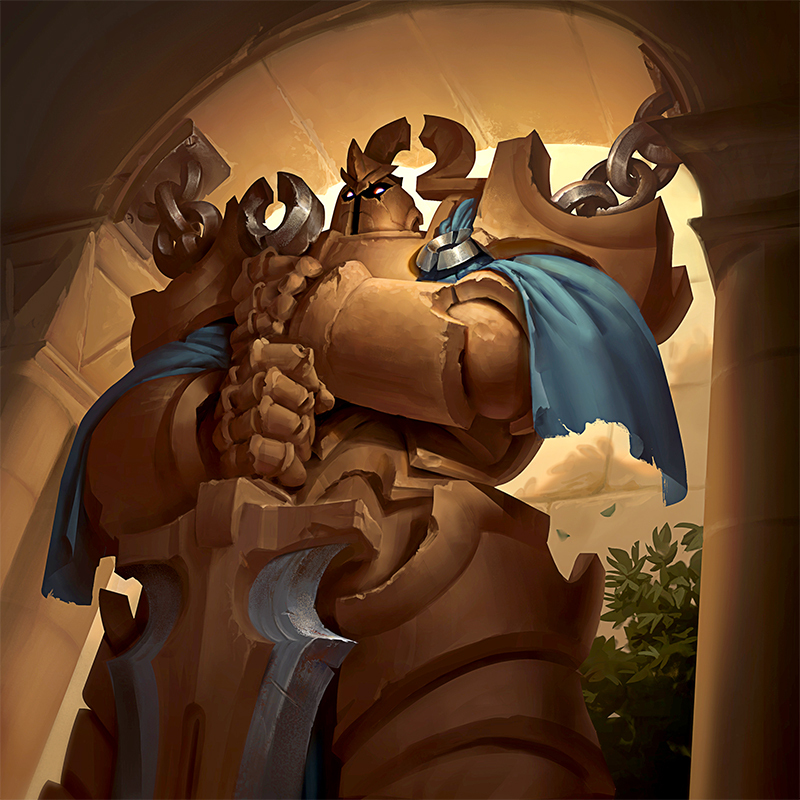 Rilgon draws upon the wisdom of the Hooru to anticipate and adapt to the tactics of his enemies. He ranges far from his forest home to confront threats revealed by the enigmatic owls. The mages of the Praxis Arcanum report a breakthrough in their efforts to understand the ancient Sentinels: this one seems to have taken a liking to the initiates. Further testing — and stronger chains — are required. The Azindel’s Ways promo quest does more than bring three new cards to Eternal: it marks the debut of three newly-supported faction pairs, offering a glimpse of things to come. Since Beta started, we’ve received lots of player feedback about Eternal’s resource system and associated redraw rule — more than on any other topic. We’ve always been pretty sure we would refine the redraw rule at some point, and after listening to and considering all of the player feedback and poring over tens of millions of games of data (and keeping mind that Eternal‘s existing redraw rule is already a very powerful tool for reducing variance), we identified a few areas to improve. Agency: The original redraw rule gave players a free redraw to 7, and then effectively provided automatic additional free redraws to some hands. This rule is powerful — so powerful, in fact, that we’ve found the majority of players don’t play enough power, relying on the generosity of the redraw rule to make their decks work. So many hands being redrawn for free without even seeing them can sometimes leave you without a sense of agency. Slightly increasing the quality of opening hands increases the number of times players get to make a meaningful decision. Variety: A common suggestion from players is to decrease the maximum deck size, in an effort to “increase consistency.” We considered a variety of numbers in the development of the game, and the impact may be a little surprising. At 75 cards, there are substantially more possible opening hands a player will encounter, and substantially more variety in how two opposing decks can play out. Variety of challenge is a key part of the re-playability of Eternal — we’ve featured just one major set so far, often with thousands of games played by individual players. There is no question that new content is very important for keeping the experience fresh, interesting, and challenging in new ways; and we’re confident that 75-card decks contribute to much more re-playability. Complexity: Many possible redraw rules add extra time and complexity to a part of the game that isn’t the most fun. We want to decrease any confusion surrounding the redraw rule, particularly with regards to the consequences of playing with various quantities of power. The initial draw will no longer feature hands with no power cards, nor with all power cards. If you choose to redraw your starting hand, your new hand will contain two, three, or four power cards (with an equal chance of each). While it is important to preserve as wide a range of challenges and meaningful decisions as possible, we found the decisions associated with all power and no power hands unsatisfying. There are interesting puzzles associated with having three one-drops and a single Sigil, or having six power and the best card in your deck. However, having zero power or zero non-power cards is clearly never interesting in the same way. Redrawn hands now better line up with intuition, with an even split between each of the three outcomes. While this change substantially increases the chances of a player making their early power drops, it also increases the variety of hands a player functionally encounters, making it a big win-win. 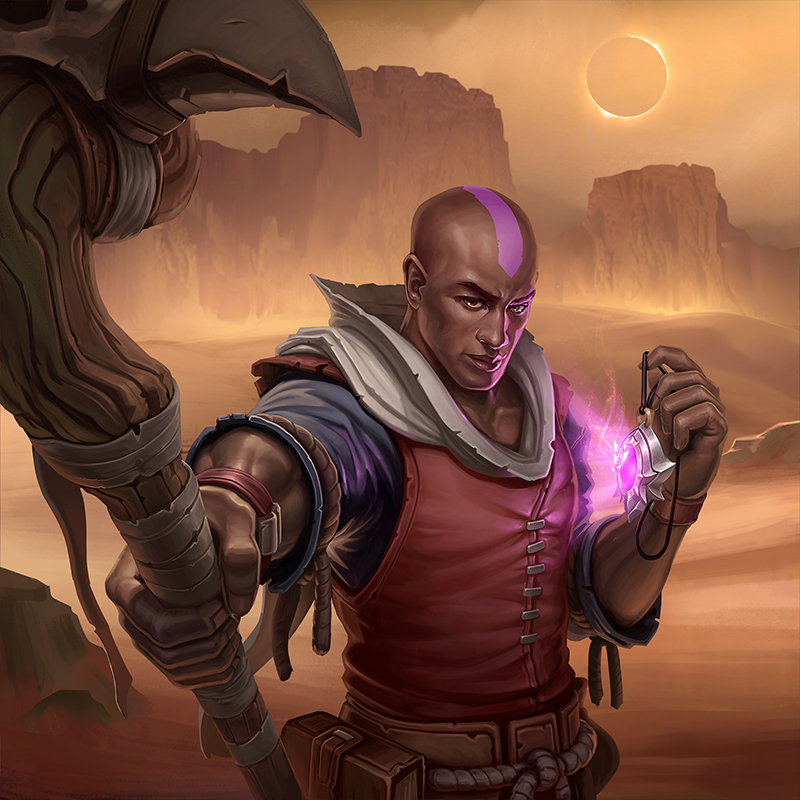 Get ready for the Azindel’s Ways promo quest tomorrow when Eternal’s next patch drops!